I posted about my prototype Attacktix Gamorrean Guard figure a couple of years ago, but to quickly recap, Hasbro cancelled the Attacktix line before the fifth series of figures was released, even though the figures had already been sculpted and the figures had at least partially started the production process. 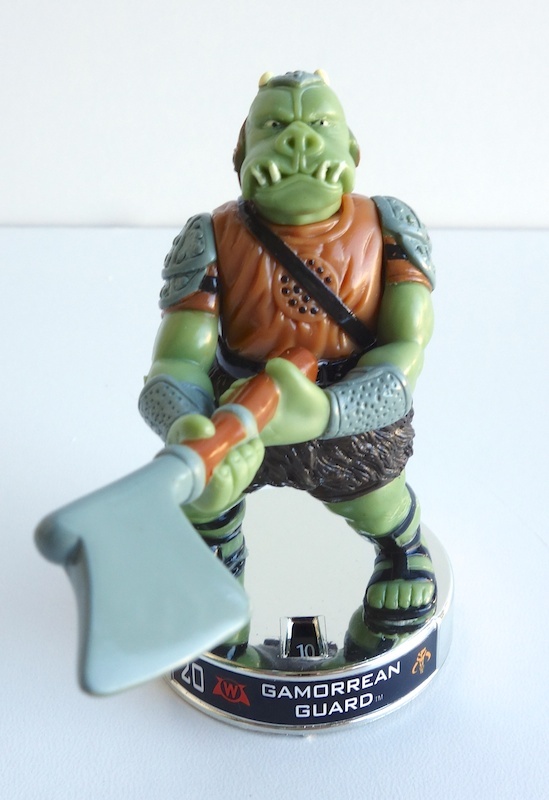 That means that the Gamorrean Guard figure, among others, was never released. They do crop up on eBay every once in a while, though. It seems like someone in China has a stash of these (or maybe even the original molds), but only releases them in dribs and drabs. 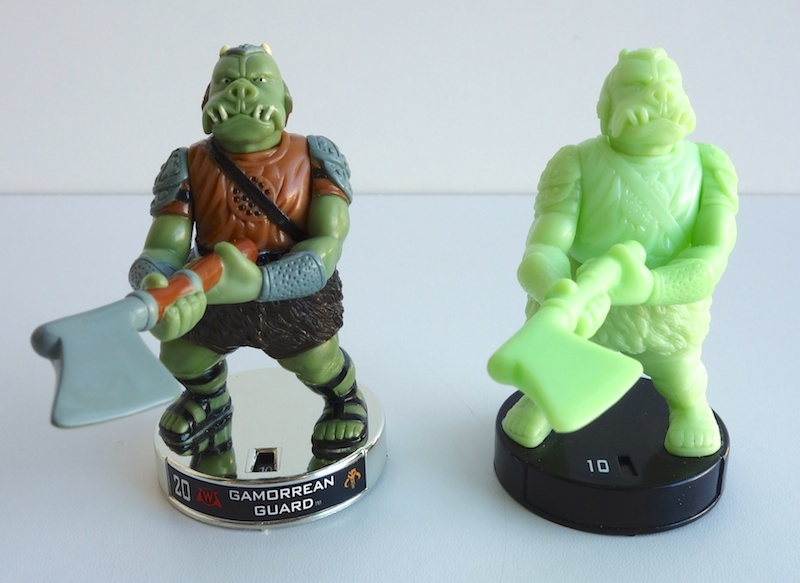 In any case, you can see the unpainted figure in a non-production green color on the right, while the figure on the left is basically what would have been released had the line not been cancelled. It’s cast in different color plastics than the proto. The head, arms and legs appear to be green plastic, but a darker green than the prototype, while the torso is cast in brown plastic. Mine has a chrome base, which would have made it a rarer “chase” figure if it had been released (only a small percentage of a particular figure would have had a chrome base instead of the plain black one). I’m not a fan of the style of the Attacktix series in general — they often have certain body parts that are way out of proportion to the rest of their body, for example. But this one doesn’t really fall into that trap. It’s a pretty nice (if cartoony) Gamorrean sculpt.